General Mills utilizes TPG’s Digital Receipt Validation System (DRVS) to support local schools across the country with Box Tops for Education . 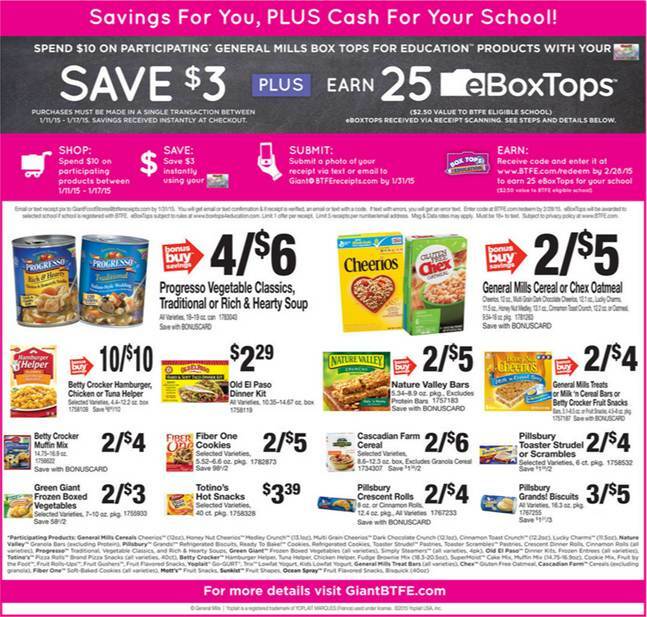 Consumers can earn Bonus Box Tops at Ahold banners including Stop & Shop, Giant Gand Martin’s stores during the January “Return to School” shopping period. This program utilizes DRVS to validate consumer who purchased $10 or more in qualifying General Mills purchases. Qualified consumers earn an eBox Tops code, instantly redeemable for Bonus Box Tops for Education value to the designated participating school. Consumers who purchase $10 in General Mills products at Stop & Shop stores between January 9, 2015 and January 15, 2015 will be instructed via to submit their receipt to stopandshop@btfereceipts.com. Consumers can make qualifying purchases at Martins or Giants stores between January 11, 2015 and January 17, 2015 and submit an image of their receipt to giant@btfereceipts.com or martins@btfereceipts.com. TPG’s DRVS system then validates the receipt and issues a code redeemable for 25 Bonus Box Tops.